1. Don’t engage or feed the trolls. Depending on the forum or website that you’re being harassed on, there may be an option for you to report harassment or block the person. This is especially useful for cyberbullies who are attacking you personally and taking a toll on your mental health. This is sort of like going No Contact – except, instead of someone you were in an intimate relationship with, you’re going NC on a stranger out to harm you. Find a way to remove them from your presence with the least amount of effort. They’re simply not worth the time and energy that it takes to stage a rebuttal. Remember: narcissists always need an audience and a source of supply. By removing yourself as a narcissistic source of supply, you refuse to give them the attention they’re looking for. By default, you win. 2. Be strategic about your privacy. Different forums and websites have different policies, so be strategic depending on what platform you’re using. Most social media platforms allow you to block or report anyone who’s harassing you, so take advantage of whatever you can do. Next, explore the privacy settings on whatever platform you’re using. If you feel comfortable and it’s available, take on the option that will enable you to share the least amount of information with the public. This will prevent cyberbullies and trolls on the hunt from finding out the personal details of your life. If you find it feasible, consider limiting the number of social media accounts you have so that you only use the ones you absolutely need for your professional and social life. 3. Refocus your energies on productive outlets. Trolls and cyberbullies will never have the final say on your self-worth or your abilities. Why? Because they’re literally spending their time trying to tear people down. Don’t you think that if they were fulfilled in their own lives, they’d find better things to do? 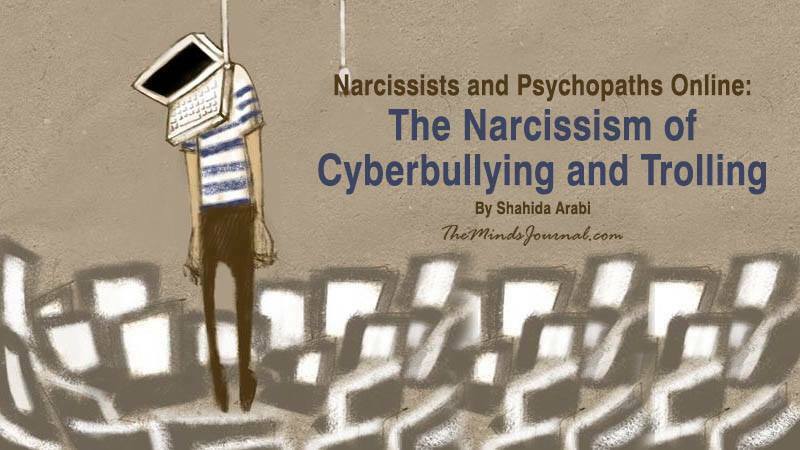 Thankfully, you do have better things to do than to ruminate over the narcissists and sociopaths in cyberspace. You have a blog to run, a website to manage, a Twitter feed to update, a Facebook page to update, and a story to share.